The following specifications and diagrams came from an original brochure for a 1964 Columbia 24. 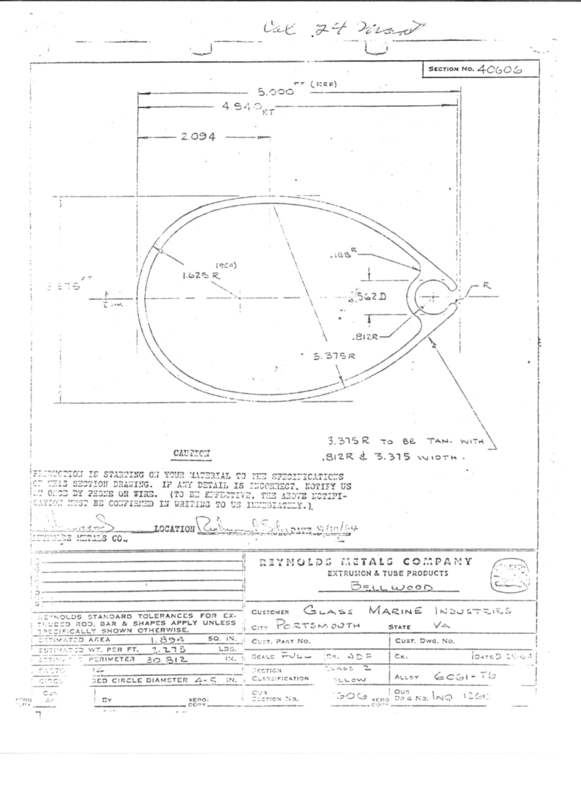 Note that the fresh water tank on my boat (1964 C-24 #157) is forward of the head, under the vee berth, rather than in the keel as shown in the diagram. Sail Area 306 sq. ft.
Spinnaker C. C. A. MAX. The Columbia 24 is a nice boat for single handing, day sailing, and weekend trips. The previous owner of my boat said it, "Sleeps two and drinks six." I have expanded the definition slightly noting that is sails four quite well. And here she is in her slip on launching day, 30 April 1998. For some time I have been aware of a Columbia 24 that circumnavigated. 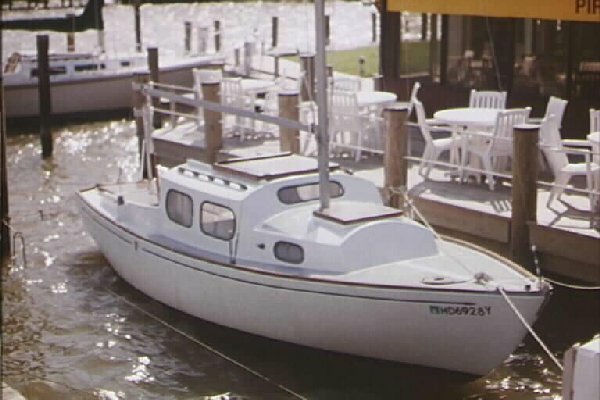 The boat's name was Tola and it was owned by Mike Riley. Mike left California and collected or created crew along the way. He met Karen in Papua, New Guinea. They married and their son, Falcon, was born in Malta. 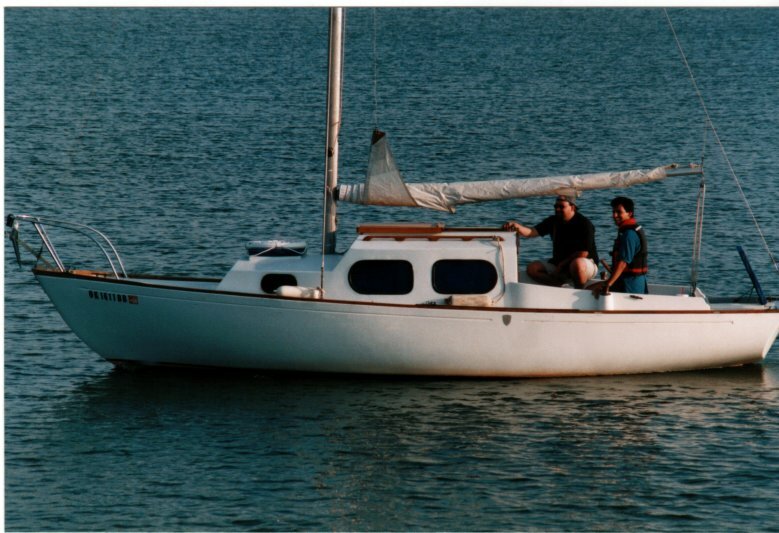 After completing their circumnavigation, they sold Tola, bought the Dickerson 41 Beau Soleil, and did it all over again. They have completed an eBook and are working (10/2007) on an audiobook version. There are some sample chapters and ordering information at: Education of a Falcon. Roller reefing as used on many early Columbias.